Every now and then a story comes to your attention—or, in this case, to my attention—that is not relegated to the schedule or “to do” list to be addressed someday in the weeks ahead. This is one of those stories. It is a tale that just cannot be set aside or momentarily forgotten. You may have read about it online, as it has gotten lots of play, both literally and figuratively, over the last two weeks. It’s the story of a young chassidic man, born and raised in Boro Park, with a talent and proclivity to sing artistically and powerfully in a fashion that has drawn international attention. Today, Shulem Lemmer, a Belzer chassid who is 28 years old and resides in Toms River, New Jersey, near Lakewood, is under contract to record an album for a division of Universal Music and is on the cusp of, as he says, while being true to his authentic self, going mainstream. 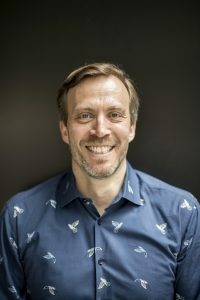 Lemmer, while known in the heimish and cantorial community as a young man with immense talent, was discovered by Graham Parker, the recently appointed head of Universal’s classical music labels whose purview includes discovering new talent and matching them up with classics from days gone by. And that is precisely what Parker immediately set out to do with the discovery, in a sense, of Shulem Lemmer. Though you cannot discern Parker’s background by his name, in talking to him for a few minutes it becomes clear very quickly that he has a solid background in Jewish life and understands well the challenge in attempting to market Shulem Lemmer on at least two levels simultaneously. That might explain in part why the recordings are being released several months in advance of the full album. And that is also the strategic thought behind releasing one Broadway show hit and one Israeli classic that crosses all lines. From Shulem’s perspective, he says that he received a call from Graham Parker out of nowhere with no advance warning. Shulem says that at first he thought someone was trying to pull some kind of prank and he did not take the call from the person who said he was Graham Parker very seriously. If you have not heard Shulem’s versions of “Bring Him Home” and “Jerusalem of Gold,” it might be a good idea to stop reading this for ten minutes and go listen on your phone or computer. Lemmer’s singing voice is chilling and it takes you places. Just as Parker pointed out when we spoke last week, he found something very unique and distinct about the young man’s voice. 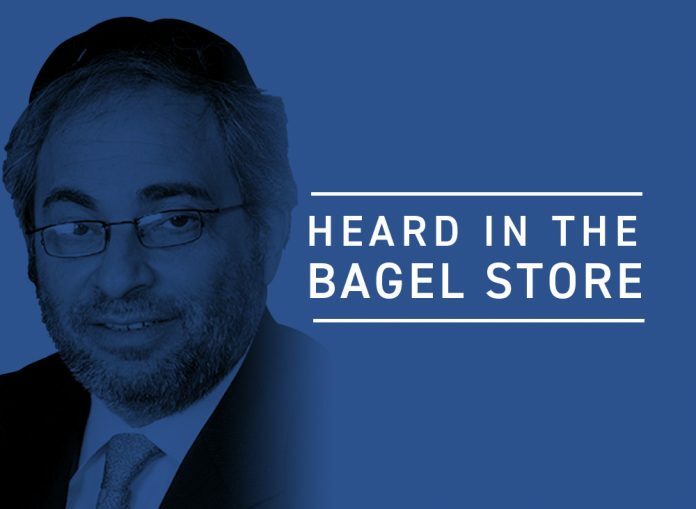 To get a slightly outside view on how these events unfolded over the last few months, I spoke with Shulem Lemmer’s manager and producer, Yochi Briskman. He pretty much says the same thing that Shulem says — that they were both skeptical at first, but after meeting with Parker at a Boro Park restaurant and exploring the possibilities, they came away with an agreement and outline on how to proceed. The question is how that idea of being something will eventually manifest itself for Shulem, Yochi, and the others involved as well. According to Shulem, everything that he required in order to move the project forward was agreed to by Universal and Mr. Parker. Some of those things are fundamental in our insular world, but they may take people out there in the music business by surprise. These things include not working on Shabbos, of course, and not performing with women performers or singers. As for the other songs on the album, both Briskman and Lemmer say that they are not at liberty to disclose that information yet, but they do say that the album will be available online and in record stores then. Graham Parker’s job at Universal is to discover new talent and he believes he hit a homerun with Shulem Lemmer. 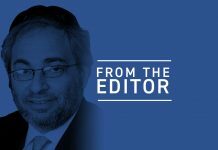 Yochi Briskman points out that the Universal effort will focus on the mainstream market almost exclusively as Shulem is already fairly well-known in his home base — that is, frum communities around the world that are music or chazzanus fans. So where will the record and deal with Universal take Shulem? At this point no one really knows because the effort is breaking new ground; how high or far this can go is a matter of pure speculation and conjecture. It is, however, not inconceivable that in the months to come Shulem Lemmer might be performing on a stage in Lincoln Center or Carnegie Hall. An additionally interesting aspect of all this is the question for Universal on how to market Shulem Lemmer. At one point, we were told, they wanted to bill him as the first chassidic performer to sign a major recording contract. Yochi Briskman says that he told Universal that this would not be accurate because Matisyahu — who was chassidic at the time — signed a contract with a major label. However they ultimately decide to market Shulem will no doubt be tasteful and at the same time will be a breakthrough in the annals of wherever it is that a frum, musically talented artist like Shulem meets the mainstream. 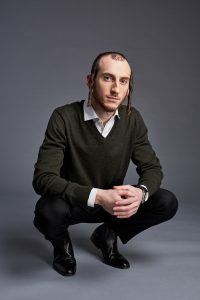 As a 28-year old Belzer chassid from a chassidishe family, Shulem Lemmer and his handlers and friends are very conscious of the need that he stay within acceptable parameters that allow him to display his talent, perhaps to an extent revolutionize the industry, and be a kiddush Hashem everyone can appreciate and be proud of.